Image above courtesy of Bijl Architecture. Bijl Architecture, Sydney based award-winning architecture and design practice has recently taken part in improving a community outreach initiative based in Redfern, Sydney. 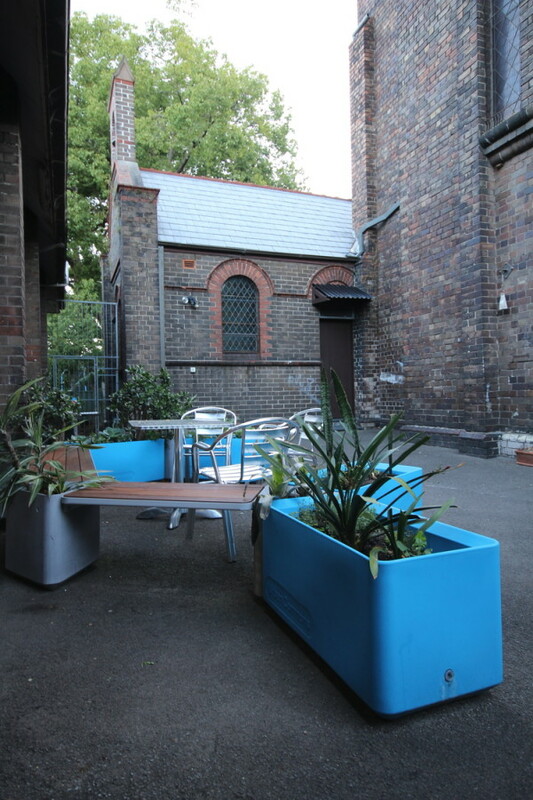 St Saviour’s Church approached Bijl Architecture with a brief looking to revamp their One4Food soup kitchen facilities, which provides support and meals to those in need living in the local Redfern and Waterloo communities. Originally based out of a small kitchenette in the main church, Bijl proposed a two stage development containing a new commercial grade kitchen with integrated courtyard seating and a vegetable patch to grow produce. These improvements sought to increase the programs reach and impact on the less fortunate in Redfern and surrounding areas. Bijl Architecture designed and detailed the commercial kitchen with a cheerful orange and yellow colour scheme for the kitchen and dining areas. 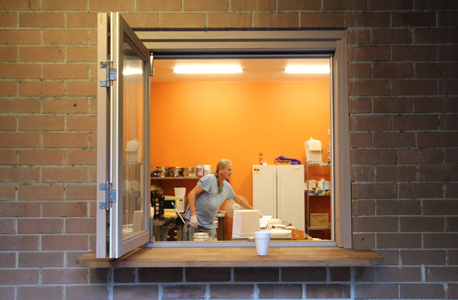 Two serveries open out to the courtyard and hall creating strong connections with the community the mission serves. The second stage of the project; an outdoor courtyard and garden, won first prize in the Urban Commons Foodscape Competition 2014, winning a Foodscape outdoor furniture and garden setting valued at $4950. This part of the design provides additional seating to the courtyard area, as well as much needed vegetables and herbs to support the mission. The addition of this community garden also seeks to further enhance the outreach and support offered by the program by allowing patrons to create better living habits through gardening, growing produce and enhances community connectivity. Click here to donate to One4Life.